This tutorial reviews the process of changing the name of the admini user in Joomla. The process involves one simple step that need to be completed. First, log into the administrative area of your website and click on the Users tab from the main menu. 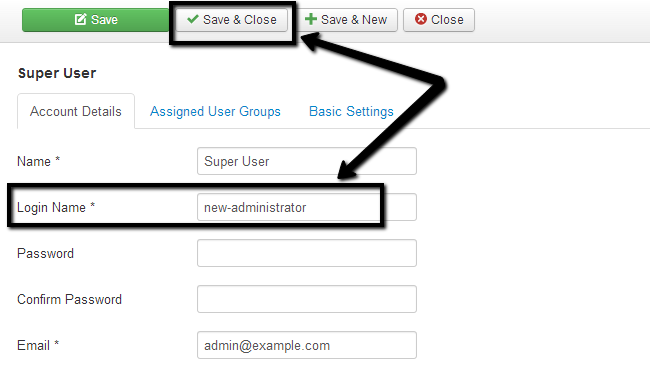 Then select the User Manager option. Click on the name of the admin user on your website. It will have a User Group set to Super Users. Login Name: Enter the new username that you wish to use.